The 2003 Vintage is one of really excellent quality. 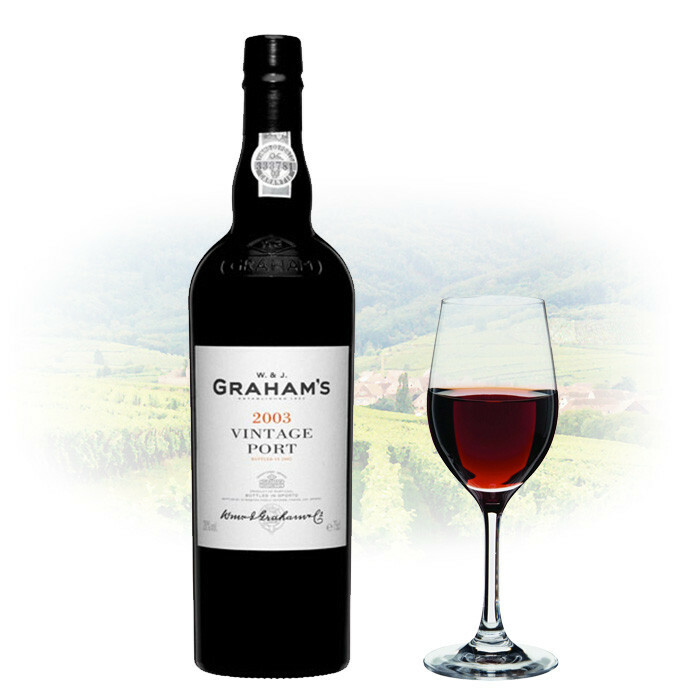 2003 has the ‘traditional style’ of the 1997 Vintage in that the tannins are strong and structured but with the really attractive ripe fruit flavours of the 1994. These wines can be drunk young by those who enjoy a more fruit driven style, but will also age superbly over the decades to come. Deep opaque, blackish purple colour. Aromas of violets just fly out of the glass! In the mouth, endless layers of very ripe blackberry fruit coat the palate. Great depth of structure with sweet liquorice flavour combining with rich tannins, give this wine an outstanding complexity. Leaves a long persistent flavour. A classic Graham in the style of its famous predecessors.